We have only days to act — he’s in Australia for meetings right now. Australia could let mining magnates build one of the world’s largest coal ports on top of the Great Barrier Reef ecosystem — opening access to 8 billion extra tonnes of planet-killing coal and risking the survival of this entire amazing world heritage site. Activists in Australia are pressuring the government and UNESCO is speaking out, but a bank owned by the US public is key to the project. Global pressure on the US bank now could bring international shame and spotlight environmental issues in the middle of the US election season. If they pull out, the entire crazy plan could be shut down for good. The enormous coal port project would push the already vulnerable reef closer to the brink by constructing an export terminal inside its waters — and by flooding the market with 8 billion more tonnes of coal exports. It would allow up to 20 ships each day to travel over this pristine area, shuttling dirty coal from inland Australia to China. We saw the kind of damage these ships can cause in 2010 when a ship ran aground, leaving a 3km gash in the unique reef. Right now, the proposal is facing hurdles after UNESCO reported that coal development is damaging the reef, and the Australian government has intervened by calling for a review of the environmental assessment. If we can cut the funding off at its source we can bring another blow to the plan — and help stop the entire mining operation. Millions of Avaaz members across the world have fought for our planet — raising our voices at climate change negotiations in Copenhagen and Rio and securing wins to protect our oceans in Australia and the Amazon in Brazil. 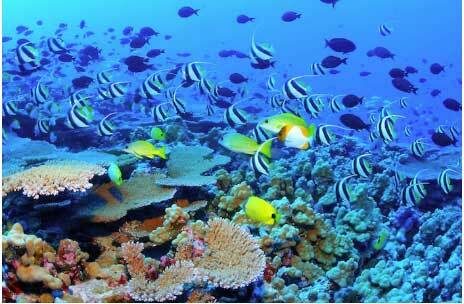 Now, let’s come together again to protect the majestic Great Barrier Reef from mining greed.